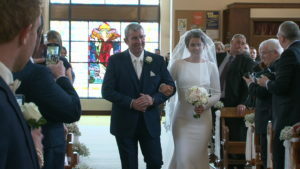 Last week I had the pleasure of filming a lovely fun wedding for a family I know very well, John and Tess Ryan (Bob). Their lovely daughter Aoife married Frank Cussen from Galbally in Oola Church. I called to Aoife’s house to capture the excitement on the morning – the usual stuff, hair, make up, more hair and more make up, and that was only her dad and the the lads! But seriously it was great to film all the fun of the girls getting ready- it’s a lovely start to a wedding DVD. 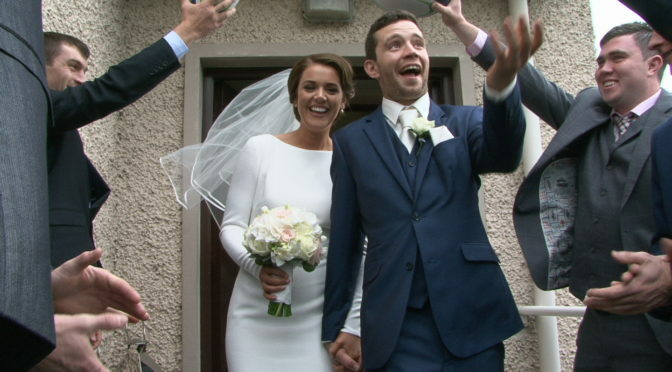 Earlier in the week I had done a little bit of filming with Frank to get his thoughts on his upcoming wedding and on the morning of the wedding Aoife spoke her thoughts on camera and I mixed the two together to make the lovely clip you will see below. As I mentioned, Oola Church was my next stop. What a huge amount of friends they have, guests from Galbally, Cashel and all over the world turned up! The ceremony was conducted by Fr. Jack O’Neill and when Aoife and Frank were married we moved on to Aoife’s granny’s house, a lovely farm setting with the old milking steps providing a lovely backdrop for the photo session. 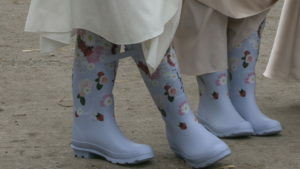 Aoife and Frank had thought of every thing, with green wellies for the lads and flowery ones for the girls! Their photographers captured some great photos here and I got some lovely footage. 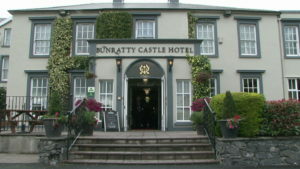 The Bunratty Castle Hotel was our last stop for the day. Aoife and Frank arrived soon after me – I like to try and get to the reception venue before the bride and groom to film the drinks reception so they can see what was happening elsewhere on their day. The function room in the hotel is splendid and looked fabulous on the day. The wedding cake was fantastic and the speeches were excellent – funny, emotional, and just the right length. One of the highlights of the day for the lads was when both mothers sang “The Voyage” together after the speeches; it sounded fabulous so well done to the mams for that! Their entertainment for the night was “The Seducers” band and they had the huge crowd rocking the night away. I’d like to wish Aoife and Frank congratulations on their marriage, and all the best for the years to come. So if your planing on getting married in, 2017 / 2018/ 2019, give me a call and lets chat about YOUR wedding because I get booked very early! 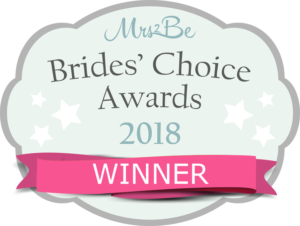 Wedding Speeches 2018 … Long or Short ?